Limagrain Céréales Ingrédients (LCI) is a subsidiary of Limagrain, an international cooperative group created and directed by French farmers. As a creator and producer of plant varieties, Limagrain markets field seeds, vegetable seeds and cereal products. LCI develops and manufactures authentic and functional cereal ingredients for manufacturers in the food industry. Limagrain Céréales Ingrédients achieve a turnover of 110 M€ and add value to more than 200,000 tons of cereals every year. The proximity of our facilities, a few meters from our processing plants surrounded by the fields of the farmer members of our cooperative, allows the full traceability of all products. Thanks to Limagrain Céréales Ingrédients’ researchers and technicians who coordinate the programs of selection and improvement for maize and wheat millers and thanks to our 6 factories, LCI have developed a comprehensive a large range flours and cereal ingredients. The company offer addresses to all the food manufacturers but its two main markets are SNACKS and BAKERY. Snacks by Limagrain Céréales Ingrédients ! 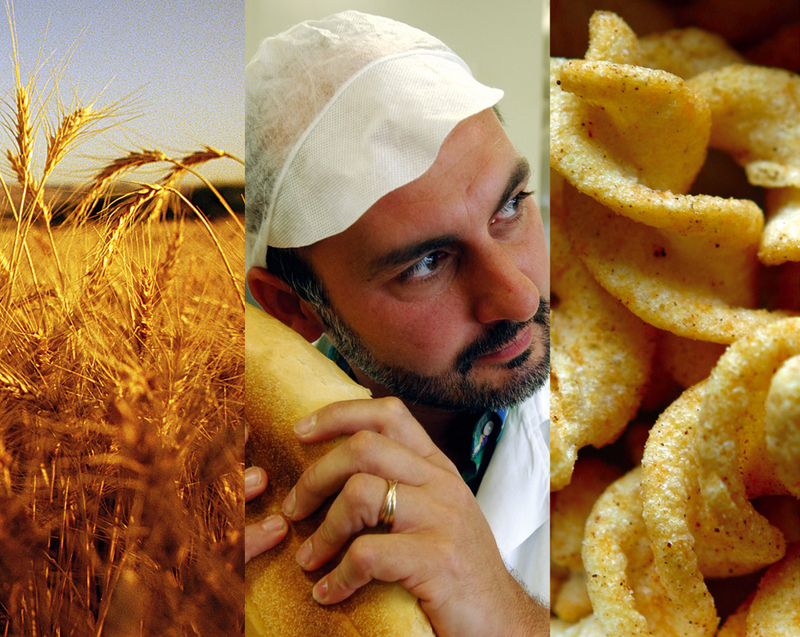 Limagrain Céréales Ingrédients is the only company with a large and comprehensive range for all the industry of Snacks : Maize grits for extrusion, Snacks pellets and Masa flours for Tortillas ! Access to the genetic resources of LCI has enabled the development of specific varieties suited to various industrial uses, particularly in direct extrusion, where the consistency and fluidity of our maize grits and flours result in a homogenous extruded product (snacks or breakfast cereals). Granulation, fat content of grits can also be adapted to finished products or density requested. The Limatrace guarantee in the chain ensures compliance with regulation on mycotoxins, GMOs, pesticides and allergens (gluten-free), Traceability (IP sector throughout the chain), Consistency (constant quality – crop area – climate – varietal mix), Functionality (variety – process optimization). Limagrain Céréales Ingrédients provides a wide range of masa flours for Tex-Mex applications: tortilla chips for dipping or eaten as ethnic snacks, tacos, soft tortillas (fajitas), corn chips, etc. Masa flours are produces with a patented hydrothermal process that achieves premium Masa (regularity, shelf life, texture, blistering…) ! LCI has also over 20 years’ experience in pellets business and exports them the world over. LCI have cut, laminated, stamped, 3D technologies offering a large variety of texture and shapes as well as recipe combination. Bakery by Limagrain Céréales Ingrédients ! Limagrain Céréales Ingrédients creates functional cereal ingredients dedicated to the baking industries. Anchored in Auvergne, but with an international vision, LCI allows then its clients to benefit from the knowledge and the passion of its team, in order to offer quality ingredients adapted to the bakery market expectations and the specific industrial needs. As an expert on Clean Label, Nutrition and Softness, Limagrain Céréales Ingrédient provides a wide range of solutions for bread, Viennese pastries, Puff pastries and other dough industry: native flours (wheat and maize produced in its two mills), mixes and premixes, Taste and colour ingredients, nutritional ingredients. Furthermore, aware of the specifics of the baking industries, the LCI’s team created an improver and functional ingredient range especially dedicated to the professional of the bakery industry. At last, with a passionate team, Bakery by Limagrain Céréales Ingrédients provides clients with real support in their product development. Our team have the ability to understand the materials, the ingredients, the process interactions and can take action to produce ingredients that match production line requirements.